Xiaomi is fast becoming a benchmark for new smartphone companies, and it is no wonder when lesser known brands such as OUKITEL decided to put their OUKITEL MIX 2 against the newly released Xiaomi Mi Mix 2. Now, OUKITEL previously had a run with the Sony XZ, in which they defeated soundly when doing a charging contest, and it is quite certain that their duel with the Mi Mix 2 would give them an upper hand, hence their boldness to compare both phones. 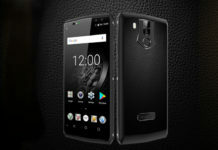 Anyway, OUKITEL bothered to do a comparison, so I am bothered to also report it and give you my thoughts. 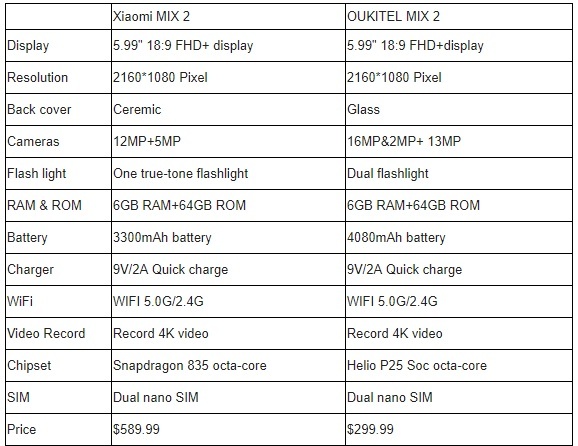 Below is the comparison of both phones for your quick reference. As you can see above, the OUKITEL Mix 2 seems to be better than the Mi Mix 2 when it comes to the camera, battery and dual flash, but more importantly in price, in which the OUKITEL Mix 2 cost only half of what Xiaomi’s Mix 2. But of course, the massive difference between both phones would be the processor, and this is exactly where OUKITEL Mix 2 cuts bulk of its cost by using the MediaTek Helio P25 octa-core processor as opposed to the Snapdragon 835 processor powering the Mi Mix 2. I’m not saying the Helio P25 processor is bad or slow, but it is a known fact that MediaTek processors are cheaper, hence giving most new phone brands an edge when it comes to pricing. To see a more graphical comparison, do check out the video below. If you watched the video, the OUKITEL Mix 2 is bigger than the Mi Mix 2, and I do think it looks ticker. The rear is entirely different from the Mi Mix 2, and the dual camera is a definite plus if compared to the single camera featured in the Mi Mix 2. Best of all, at half the price of the Mi Mix 2, the Oukitel Mix 2 may just be a good option if you do find that the Mi Mix 2 is expensive. 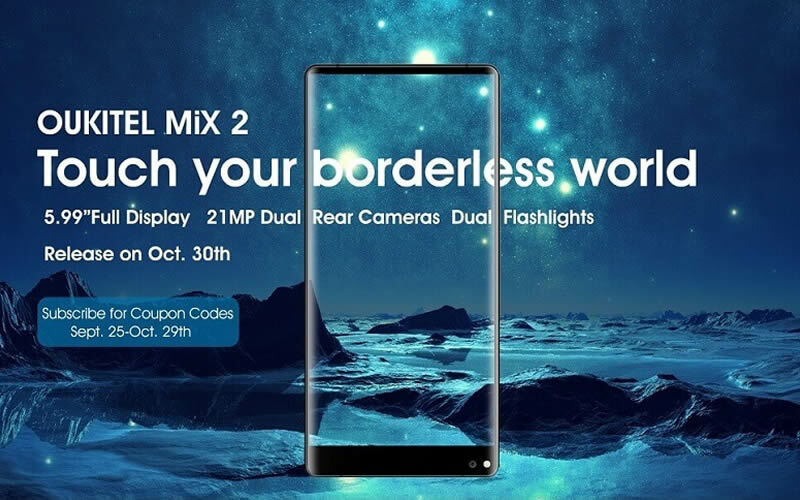 Before I end this post, please know that OUKITEL had not released their Mix 2 just yet, and they have indicated that it will only be released at the end of October this year. Pre-orders are expected to be done soon after the released their Mix 2, but you can get coupons for further discount now on the OUKITEL website. Next article24MP selfie-shooter vivo V7+ unveiled in Malaysia at RM1.5K.